To register please go to: Registration closed at this time, but will be open in January 2019! The race starts and ends on Leedom St by the Town Square. The Kids Dash starts at 6:45, Runners start at 7:00, and the start for walkers follows. Are you ready to run the Summit? This challenging tree lined 5k course winds it’s way through the borough of Jenkintown without crossing Old York Rd. 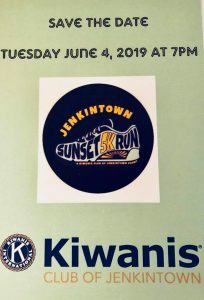 Jenkintown residents come out to cheer on our runners and walkers.